Black superheroes created waves this year! The twitter outrage over Hal Jordan’s casting in the green lantern movie (lol) The Black Panther leaving his throne to become an American vigilante. 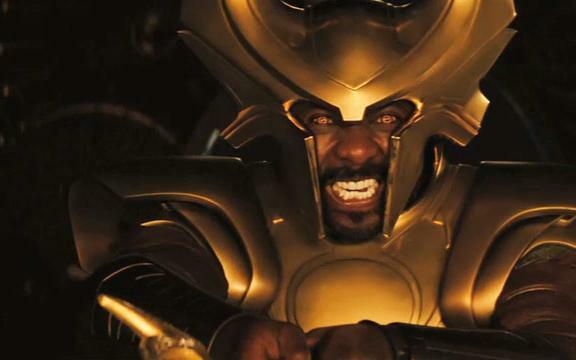 The clincher this year though was Heimdall…….a Norse god described as “the white god” by legend. Idris Elba being cast as said deity made the KKK I mean the CCC 😛 raise up in arms because Marvel is “anti white”. The clincher however was that an Asian dude is also in the movie but went completely under their radar because of his skin tone. To make matters even more hilarious was when marvel made this statement which revealed that the Asgardians in their movie were simply aliens who influenced various cultures on earth over time…..what were they up in arms about again? Historical accuracy? In a fantasy movie? LOL!? Controverisal, silly and funny as hell when all the pieces of the puzzle are assembled. Here’s to my man Dris the Blackest god in Asgard! Give em hell with your Black self!! Thor: The Dark World Plot Details and trailer! My biggest problem with Idris playing Heimdall is that it means he won’t be able to play Black Panther in a movie now.